"Unquestionably, Simpson and Von Stade delivered some of the most compelling work of their long careers. Much of Simpson's has been in oratorio, and the more formal elocution that comes with that world made her words resound with meaning." "The renowned mezzo-soprano Marietta Simpson was the soloist and brought a deep, soulful authority to quieter numbers such as 'Steal Away' and 'Sometimes I Feel Like a Motherless Child.'" Mezzo-soprano Mariette Simpson’s haunting, reserved portrayal of a woman who clings to the routines of daily life in order to appear normal, enough, is unforgettable. "Simpson's voice was a melodious comfort to the ear as the text evoked 'If thou art near I go in gladness, to eternal joy, eternal peace.' Her trills were effortless and her voice offered such a luxurious warmth." 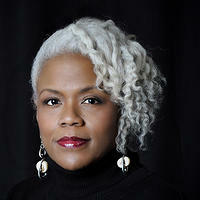 "Among other standout solos were Marietta Simpson's dusky-voiced alto in 'Have mercy on me'." "Mezzo-soprano Marietta Simpson, who was a longtime favorite soloist of choral legend Robert Shaw, handled her leaps and flourishes with aplomb.... Her finest moment was 'He was despised,' a deeply felt portrayal of the crucifixion." "The alto solos had a warm advocate in mezzo-soprano Marietta Simpson, who conveyed the fact that the alto has some of the best music Bach conceived." "Marietta Simpson's earthy Maria was appropriately feisty and warmly maternal." "Mezzo-soprano Marietta Simpson draws you to her earthy Maria."